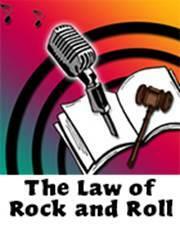 The Law of Rock and Roll is hosted by University of Houston Law Professor and New Mexico native, Michael A. Olivas. The show explores the legal aspects of the stars' careers, cases involving the record companies, and the business of rock and roll. Topics include noise ordinances, adhesion contracts, copyright law, back up singers, the dangers of downloading, and music by dead performers. This legal project grew out of Professor Olivas’ earlier CLE programs on the subject. The feedback from the earlier presentations was so encouraging that he was moved to develop this series with KANW. In addition, for about 7 or 8 years, he has maintained a growing listserv, Michael’s Rock and Roll Posse, where he comments on all things rock and roll.